Home » Education News » NEET Exam 2018: This High Court directed CBSE to re-allot examination centres to students; know which state? NEET Exam 2018: This High Court directed CBSE to re-allot examination centres to students; know which state? 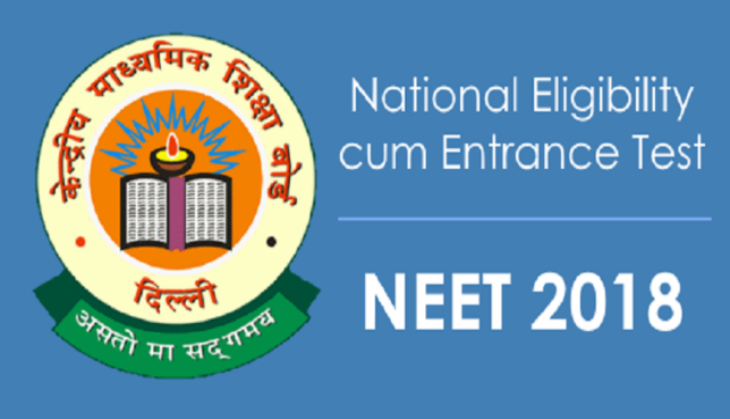 The big news for those students who are going to appear for the National Eligibility and Entrance Test (NEET) this year is finally here. The Madras High Court has taken the decision on Friday that CBSE will re-allot the examination centre for the exam again. The Court has directed the Board for the Tamil Nadu candidates who already allotted the centres in other states of India. The Madras HC has said that NEET examination centres should be given nearby to the residence of the candidates or at least only in the state region instead of allotting in the other states. Therefore, it is a good news for candidates to apply for the fresh seat allotments who have also got the examination centres outside their home state. The decision was taken after filing the public interest litigation (PIL) by a lawyer S Kalimuthu Mylavan. Later the decision was announced by the division bench of justices Huluvadi G Ramesh and M Dhandapani. The lawyer said in the petition that the TN candidates get their examination centres outside their state region which unlike what was mentioned in their applications. The petitioners also said that most of the candidates are from rural areas and also belong to poor families due to which they won’t be able to afford their stay in other states. He had also urged to the court to re-think over the notice that was issued by the CBSE on 18 April, which is responsible to conduct the NEET examination across the country. Hence, Kalimuthu asked the court to re-allot the examination centres for Tamil Nadu candidates. However, the court directed to CBSE that candidates who have allotted the examination centres in Kerala and Rajasthan or in another state will have to allot the centres adjacent to their place of residence or in the state only. Because TN candidates will have to travel a long distance for the examination. The NEET examination will be conducted on 6 May 2018 across the country. The examination is held for taking the admission in the various colleges that run MBBS/BDS coursed in India with the certification given by Medical Council of India/Dental Council of India under the ministry of health and family welfare, except the institutions established through an Act of Parliament ie AIIMS and JIPMER Puducherry.